Dry skin is a common problem many of us suffer from in the colder months. Living in the UK, often besieged by Storms with an increasingly random choice of 1970s names (Gareth, anyone?) and blasted with central heating, we don’t stand much chance in avoiding complexion drought. But skin dryness doesn’t mean you can’t also suffer from breakouts, and need an additional deep cleanse or radiance boost to your skin. Enter Face Masks, which offer a solution for such skin concerns and are often tailored towards delicate and dryer skins. Read on to discover some of my favourites, which will address and alleviate a variety of skin concerns, from the starting point of dryness, to flakiness, redness, breakouts, blocked pores and more. I love using face masks to plump my skin before a night out. From the millennial, instagram savvy behemoth of a beauty brand that is Glossier, comes one such instant moisture fix for your skin. As a make up artist, I have used a lot of beauty products; to me, it seems that Glossier’s offerings often border on fad territory in both their marketing, packaging and claims. However, this mask works and avoids some of the ‘life-changing, first of its kind’ rhetoric you see with many of their other products, which are frankly just the same as other products available, but with more organic, raw marketing campaigns featuring real users in their bathrooms, which tweens and digitally savvy young beauty users purchase like clickbait. Putting my cynicism aside, this is a lovely 20-minute moisturising mask which calms and softens dry, red and stressed skin. Moon mask is the perfect pre-cactus loving party pick me up that you can Instagram the heck out of later, not smiling, in your bath, in a totally original and unique way. Ahem. I love products which do more than one thing, as they take up less space and simplify your routine. This thick dream mask and cream cleanser from Rodial is more expensive, but it will last you many months and also doubles as an indulgent face mask. Massaging a small amount onto dry skin morning and evening, rinse of with warm water or the muslin cloth for an extra, still gentle, exfoliation. Beautifully thick and creamy, it protects the skin with vitamins and fatty acids such as Rose Hip Seed Oil, Coconut Oil, Rose Wax and Cocoa Butter and naturally promotes elasticity and firmness. It’s the perfect morning face cleanser and mask before an event when you are getting ready. Your skin is left completely rejuvenated after 20 minutes when you remove it. How do you combat dry skin, particularly on a long flight? 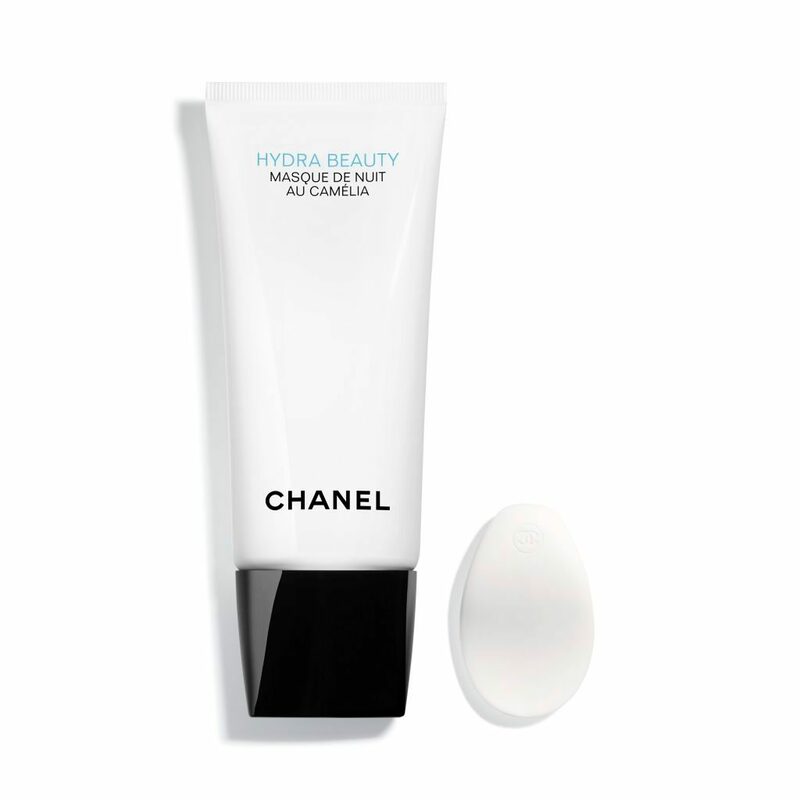 With this deeply moisturising overnight face mask from Chanel, my new favourite for winter. During a recent flight back from Bangkok to London, I tested out this product for the first time. My skin felt dewy and fresh despite the cross-continent journey on arrival. Comprised of the highest concentration of camellia flower extract, Coco Chanel’s favourite flower no less, this creamy overnight mask transforms into dew-like droplets as you massage it in, helping skin to oxygenate during the night. Chanel PR claims that upon waking, skin fatigue is diminished and the skin is left with a fresh radiant glow. Having tested it, I can absolutely verify the claim. The product smells and feels beautiful to wear, isn’t overly heavy, and after use your complexion is plumped up, youthful and calmed. Add this to your dryness armory kit now. Fact: Even dry skin sufferers break out. In the summer months or after wearing particularly heavy make up, my skin needs a deeper cleanse. For these situations, this mask from Dr Organic is a real saviour. It is not only under £10 and available to buy on the high street at Holland & Barrett, it is also enjoyable to use and predominantly natural. Nutrient-rich China clay is combined with beautiful, bio-active Manuka Honey, in a formulation which draws oil from the pores while ridding the skin’s surface of dead cells and impurities. Apply it for 20 minutes whilst in the bath, then remove with a damp muslin cloth. Skin is left deeply purified, perfectly nourished and honestly feeling like you’ve had a facial. Side note: the entire manuka honey skincare range from Dr. Organic is brilliantly effective and affordable. Their Manuka Honey Face Scrub is also a great foil for a dull complexion, used on damp skin twice a week. AHA stands for alpha hydroxy acid—and there are several different formulations which purport to exfoliate the skin in a manner more gentle, cosmetic companies claim, than many granular exfoliants or brushes. Two of the most popular and well-researched are glycolic acid and lactic acid. They are strong and effective removers of dead skin cells on the surface of your epidermis, which can lead to that dreaded dull appearance. Personally, I approach these acids with caution for two reasons. I feel my skin has a more taught, shiny, and even tight, appearance after using AHAs, even after moisturising. I am also wary of the fact you need to up your SPF game after their use, raising questions about their validity as a skin safe, year round addition to your routine. There is no doubt, however, that they brighten your complexion. This mask from Boots’ Sanctuary range is another great value face mask under £10, which includes a gentle blend of AHAs and natural oils. It is also fun to use; apply a fine film layer to clean skin, then wait 5 minutes and peel off. The snake skin removal process leaves your skin brighter and feeling like new afterwards. A friend living in Taiwan introduced me to Neogence; a Taiwanese beauty company who make the most effective, skin improving sheet masks I have ever used. Sheet masks differ from cream masks because there is no need to rinse or remove the leftover residue afterwards, although I normally splash my face and pat dry once I have worn them for about 30 minutes. The sheet helps the potent serum beneath the mask absorb, locking it in to the skin. I would recommend keeping sheet masks in the fridge before use, meaning they become an effective cold compress which reduces inflammation as well as providing an intense moisture hit. Neogence products can be bought on ebay or amazon, and come directly from Taiwan. They are also incredibly fun to use, which is what beauty is all about! Go forth and mask in peace.